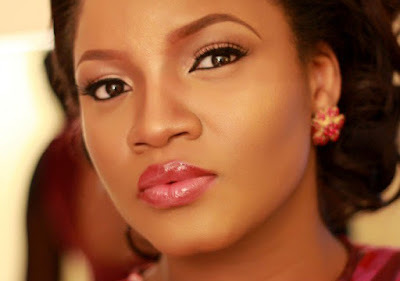 Nollywood actress and producer, Omotola Jolade, has revealed how she was labeled a prostitute at the age of 15. Omosexy, as the thespian is fondly called, said reality dawned on her at the age of 15 following the demise of her father. She wrote, “On today’s girl child day, I’ll do an unusual post true to me. As a child, I lost my father age 12. Sponsored by a great community of Ondo men, the#Ekimogunclub, so I could continue my education. “At age 15, I started struggling to help my widowed mother. I started working in the Entertainment Industry. While going to school, and working, faced many challenges as a female child. There were talks of being loose, perhaps being a prostitute, lack of freedom to mingle like male counterparts, rumours and fear of slander, sexual harassments. "However, one of my early dreams was to be great at whatever I chose and be side by side the best in the World. I’m not totally there yet, but, that 12 years old iyana-ipaja little girl did take care of her widowed mum till she died, took care of her younger brothers who are in marriage stages now. "She is taking care of herself and her own family, taking care of a few people she is privileged to be able to. “Don’t you dare underestimate the possibilities of a Girl Child."